Startups need attention and a very relevant technique to gaining attention is maintaining a healthy relationship with bloggers. Bloggers (no matter how popular) need content, things to write about and news to spread. Sounds like a joint venture made in heaven? True – but as always, things aren’t that simple. 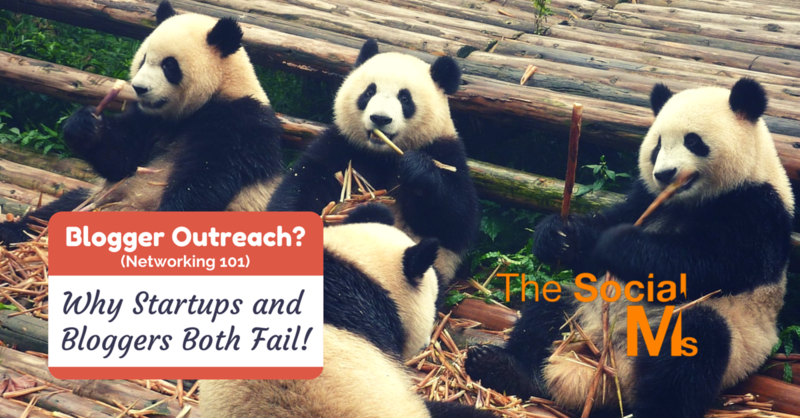 When we talk about Blogger Outreach for startups, we are talking about that 90 % of niche bloggers. When you are approaching top tier tech blogs you are not approaching an individual running a blog, you are approaching a journalist working at a media company. Big difference. The journalist is not part of the Blogosphere even if his company might be. And when you approach bloggers, the hobbyists will probably not be within your target audience. They are small and don’t care too much about reach. Their blogs are less focused and don’t rely on regular publishing. They might one day professionalize what they are doing, but that doesn’t mean they are of interest right now. No one wants to be “second”… not even when being asked to help. Many startups see niche blogs like this one as “second or third tier press”. After all it’s a place where they can get talked about – where they can convince someone to write about them or publish a guest post. But niche blogs aren’t press. Niche blogs are part of businesses. That means that the people who run those regular niche blogs and people running startups are basically two sides of the same coin. The problem is – both sides fail to understand this. Startups approach bloggers differently than they would approach other startups, and bloggers fail to see their benefit from the connection and begin to think of themselves as judges for startup ideas. When blogging became popular it was largely because bloggers networked among each other – and not just via business cards. They shared each other’s articles, commented, exchanged guest posts, and helped each other whenever they could. This allowed the blogosphere to grow as fast as it did and this is what even today keeps the blogosphere alive and kicking. The successful startups that built their businesses based on blogger outreach managed to make themselves part of this networking process. Many of these became successful bloggers by this themselves. Two examples of this are SocialBro and Buffer, two social media apps that now also run very successful social media blogs. Both of them won entries in the Top 10 Social Media Blogs 2015 by Social Media Examiner. Other examples are Postplanner and Kissmetrics. But these startups didn’t regard the bloggers as press – they regarded them as business contacts. If you are a startup, I would like to propose to you a better way of implementing a blogger outreach strategy. It all begins with how you regard your goal. If you are a startup, I would like to propose to you a better way of implementing a blogger outreach strategy. The goal is to grow your business. And their blogs are not the only way bloggers can help you. They have businesses themselves. So the real question is – how can your business help their business. (Please don’t take this as an invitation to send me bad sales pitches). And of course, that already includes the second part of a healthy business relationship: How can their business help your business. 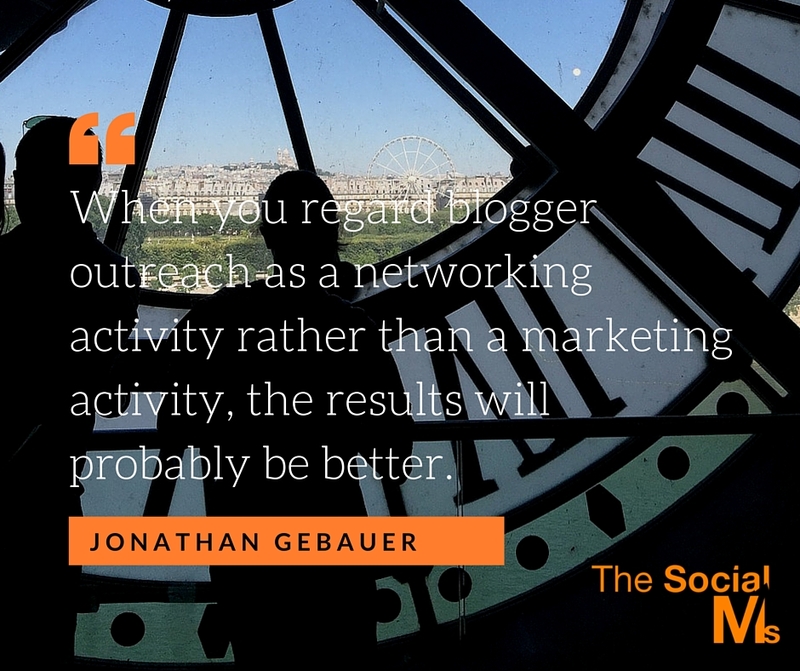 This really is networking 101 – but when you regard blogger outreach as a networking activity rather than a marketing activity, the results will probably be better. Of course, often the results will be a published guest post or an article about your product. But that’s what you wanted anyway, isn’t it? The mistakes are being made on both sides of the table though. Too often we bloggers reply to contact requests by judging a product like someone asked us to invest in it. Too often we get asked something like: We would like your feedback and answer that we don’t see the market. What we should have said is: “I’m sorry, but the solution is not for me.” Alternatively: “Heck, you are solving the problem I have.” Startups are capable of doing their own market research. Too often we feel we need to behave like a top tier tech journalist (arrogant and without a clue, there are exceptions though). Too often we regard ourselves as being on top and the startup as being far below – while the truth is that it’s a conversation between two entrepreneurs. We don’t see blogger outreach as a part of our job as well anymore – we expect others to reach out to us. But part of networking is always to make oneself approachable – and to be willing to help instead of just be willing to feel important! I’m a startupper turned blogger – and content was always my game. My former (and failed) company exploreB2B was a content publishing site for businesses and business people. I had to move on. I became a blogger. I’m a startupper turned blogger – and content was always my game. But I’m not a journalist – blogging is part of my business now. As a blogger, I am many things at once. One part is writing my blog, but I’m also a consultant, a marketer, a teacher (check out the Masterclass! ), a salesman, a business developer, and many more things. So if you are a startup trying to build a relationship with me: Don’t treat me like a journalist. That doesn’t mean you cannot pitch me – I’m always happy to read a well-done pitch. But if you pitch me, please keep in mind that I’m not a journalist. Don’t tell me that your startup now has 10,000 users – I don’t care. I care about the solution. Could I use it? Would it make my life easier? Or send me a guest post – I am always ready to publish a well-written guest post that tells my target audience about something that can be useful for them. Or you can offer me a joint venture. I’m first and foremost here for business, so if you can think of a collaboration of mutual benefit – here we go. Most of us bloggers are simply entrepreneurs – and part of our business is blogging. That means we should always have our business in mind. When we get approached by startups we shouldn’t think about judging a business model, product or idea – we should see the other person as we see every other business person we meet. What’s happening is part of the general networking experience – help each other and create a situation of mutual benefit. But somehow, many of us tend to see themselves as a journalist once they get approached by Startups. Which in turn leads to being treated like a journalist – which many of us don’t like in the first place. We end up in a downward spiral that will sooner or later crash the relationship into the ground. So, the next time you get pitched by a startup CEO – simply see him as a business person, an entrepreneur like yourself. Next time you get pitched by a startup – see him as an entrepreneur like yourself. While communication with top-tier blogs is a PR activity, blogger outreach is a business development activity – and largely based on networking. And that goes for both sides. I’m not a judge for your business model. I don’t care whether your product has raised millions. All I care about is whether you can improve my business. And that is great for you startups as well. Because it opens a hell of a lot of opportunities. And if you need some more advice on how to reach out to bloggers, read this guide for beginners! 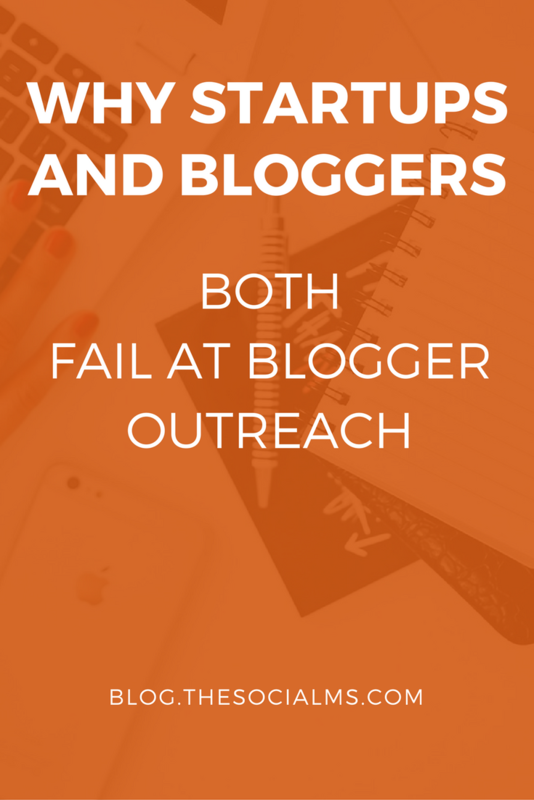 Blogger outreach is networking – and that open a lot of opportunities.